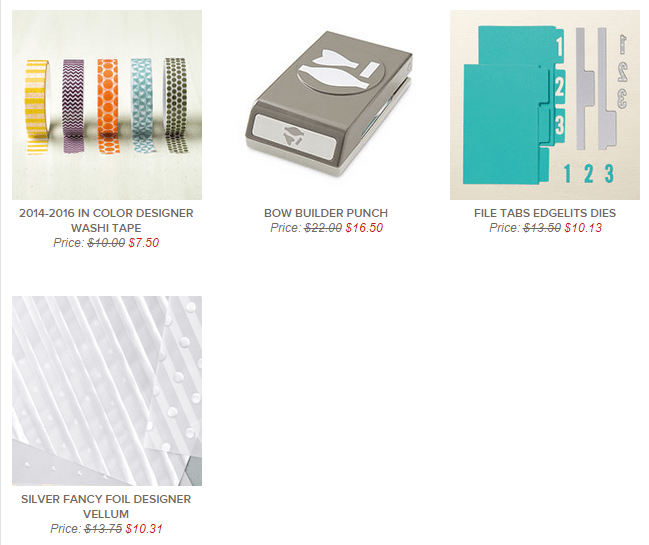 Seriously – all stamps, at 15% off; can you beat that? I don’t think so – unless it’s to add the Weekly Deals to your order, and get more goodies at a discount! How about another way to increase the benefit of this stamp sale? Okay! Remember – until November 9th, with a qualifying order or party orders of $400 or more, you will earn an extra 3% in Stampin’ Rewards! Plus – Stampin’ Rewards can be used towards the purchase of a Starter Kit. If you have enough Stampin’ Rewards for products AND the Starter Kit, even better! i can help you pick which products you want and then create a Starter Kit credit for you. Plus, as a demonstrator, you’ll receive at least 20% off all your future Stampin’ Up! product orders, PLUS you’ll be able to pre-order from the upcoming Occasions catalogue in January! Imagine – you get to see and order from the new catalogue before all your friends; then they can order from you, when it goes ‘live’! I’ve been enjoying myself as a Stampin’ Up! demonstrator for 4 years now! That’s right – yesterday was officially my 4 YEAR ANNIVERSARY with Stampin’ Up! I have made so many friends, met such wonderful people, learned a whole lot about stamping, grown my business and team – I would definitely recommend joining the Stampin’ Up! family to anyone! Whether you want to do it just for yourself, to get the constant discount (which is how I started), maybe share the fun with a few friends and collect some orders (that was my next step), or start a team, hold classes and build your business (that’s where I’m at now! ), being a Stampin’ Up! demonstrator is fun and rewarding! I’ve decided to extend my anniversary gift to you – anyone who places an order with me THIS WEEK of $40 or more (before shipping/taxes) will receive a package of Home for the Holidays Enamel Dots FREE FROM ME! This is a little ‘thank you’ to you, from me, for all of your friendship and support for these last 4 years. I’m looking forward to many more! You can contact me to place your order, or you can order directly through my online store – just click on my signature below! If you order online, please use HOSTESS CODE F2F66X24 – thank you! I will mail your Enamel Dots directly! I’ll be back this evening with my design team card for the new Paper Craft Crew Challenge; until then – happy stamping! 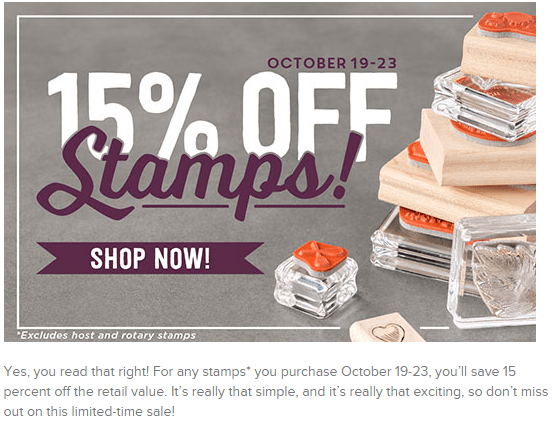 Previous Previous post: 15% OFF STAMPS – STARTS NOW! Congrats on your 4 year anniversary with SU! Wow, with all your awesome creations I would have guessed you’ve been at this much longer!